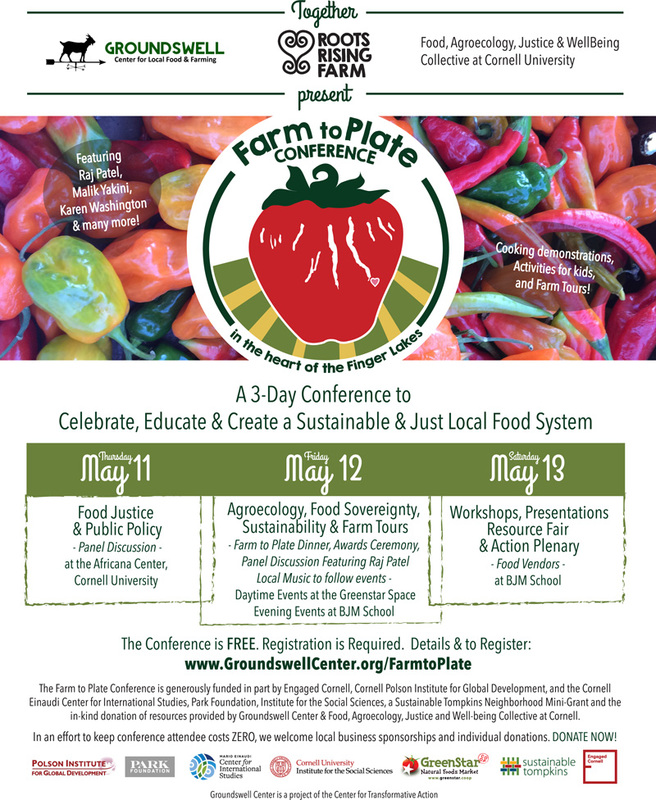 The event will take place in Ithaca, New York, and will feature keynotes from Raj Patel, Karen Washington, Malik Yakini, as well as Regional Farm Tours, Hand-on Workshops & Paper Presentations, Local Food, Resource Fair, and more. Thursday [May 11] – Food Justice & Public Policy – Panel Discussion – at the Africana Center, Cornell University. 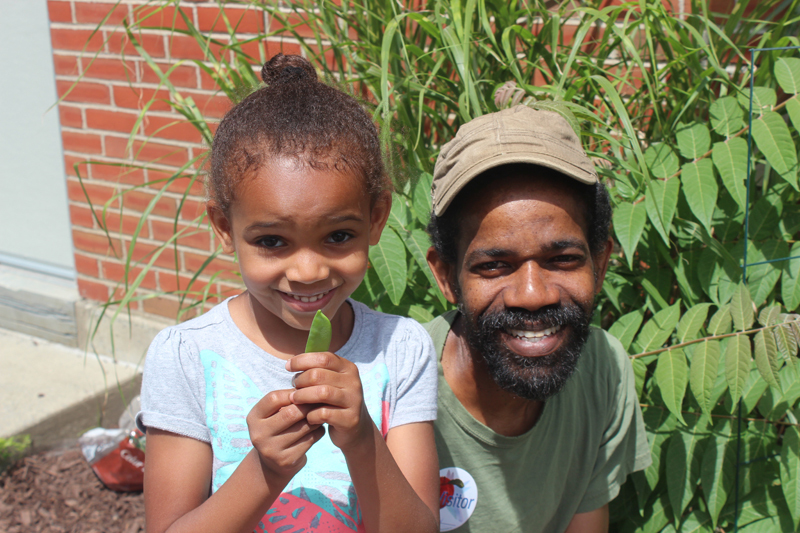 Friday [May 12] – Agroecology, Food Sovereignty, Sustainability & Farm Tours – Farm to Plate dinner, awards ceremony, panel discussion featuring Raj Patel, local music to follow events, daytime events at the Greenstar Space, evening events at BJM School. Saturday [May 13] – Workshop, Presentations Resource Fair & Action Plenary, food vendors at BJM School.